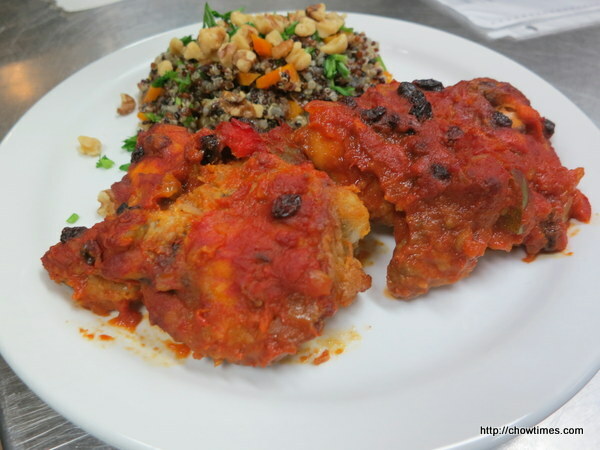 For the main course, the South Arm Community Kitchen made a chicken dish with tomato sauce. 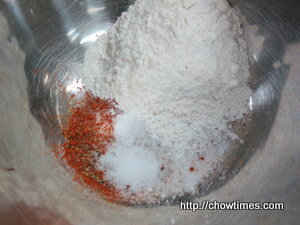 In a bowl, combine the chicken spice mix and mix well. 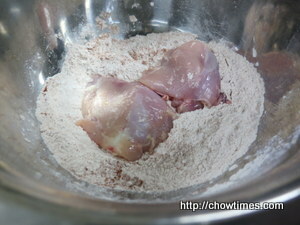 Dust the skinless chicken thigh with the spice mix. 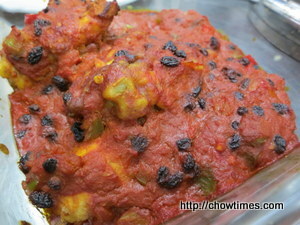 Shake off excess mix. 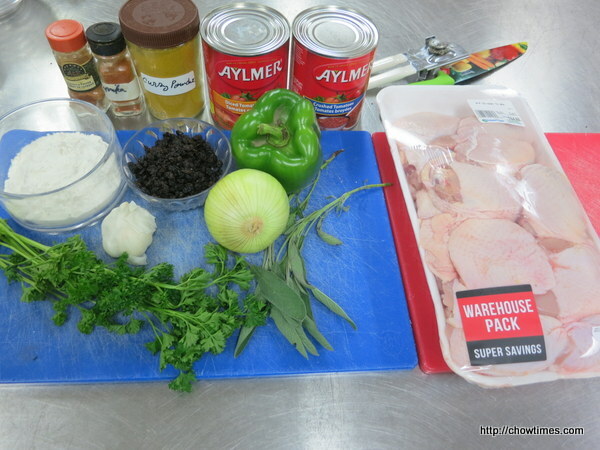 Place chicken on a greased baking sheet or parchment lined baking dish. 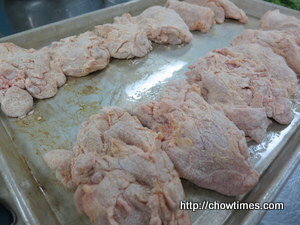 Bake at a 400 F preheated oven for 50 minutes or until the chicken is golden brown. 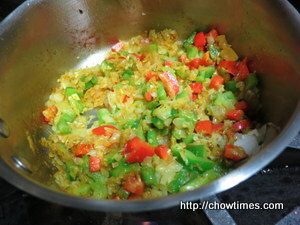 To prepare the sauce, saute onion, garlic and peppers until soften. 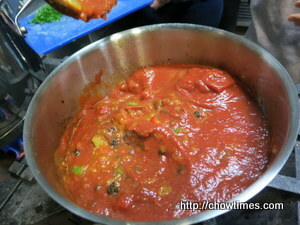 Add tomato sauce and cook until smooth. 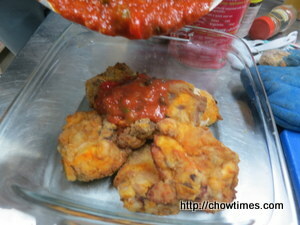 Pour sauce over the cooked chicken. 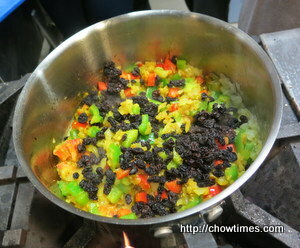 Bake for another 5 to 10 minutes.